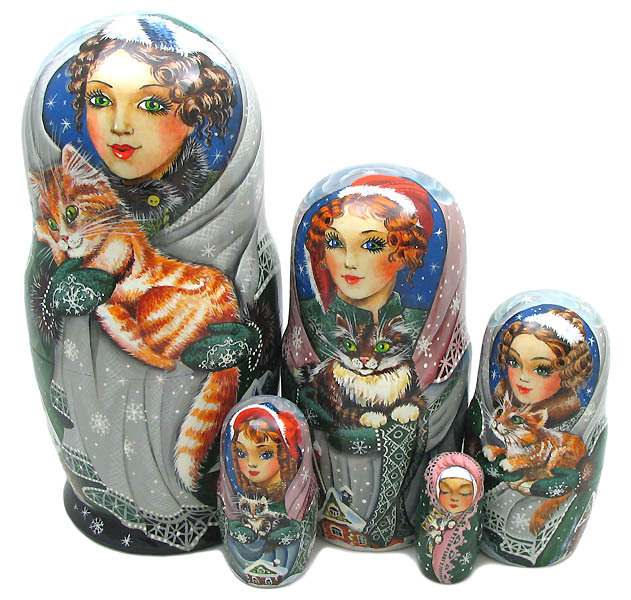 There are 5 figures of beautiful dolls in the nest. 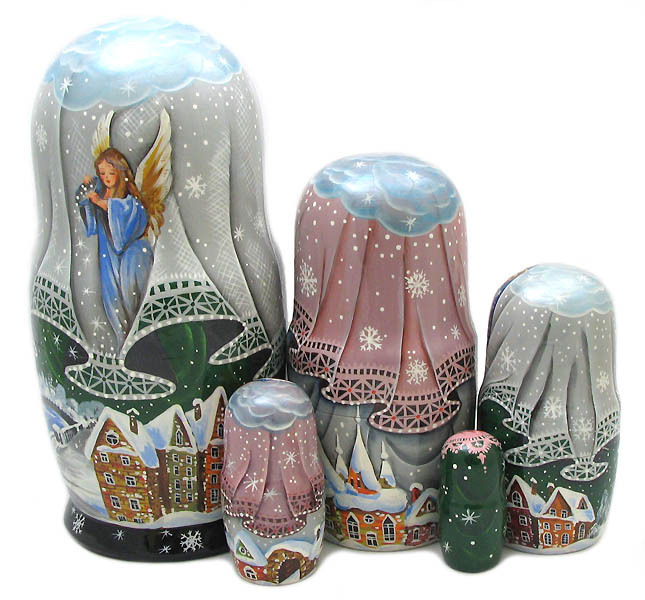 The tallest one is 7 1/2", the smallest - 1 3/4" Signed by the Russian artist! Perfect lacquering quality.